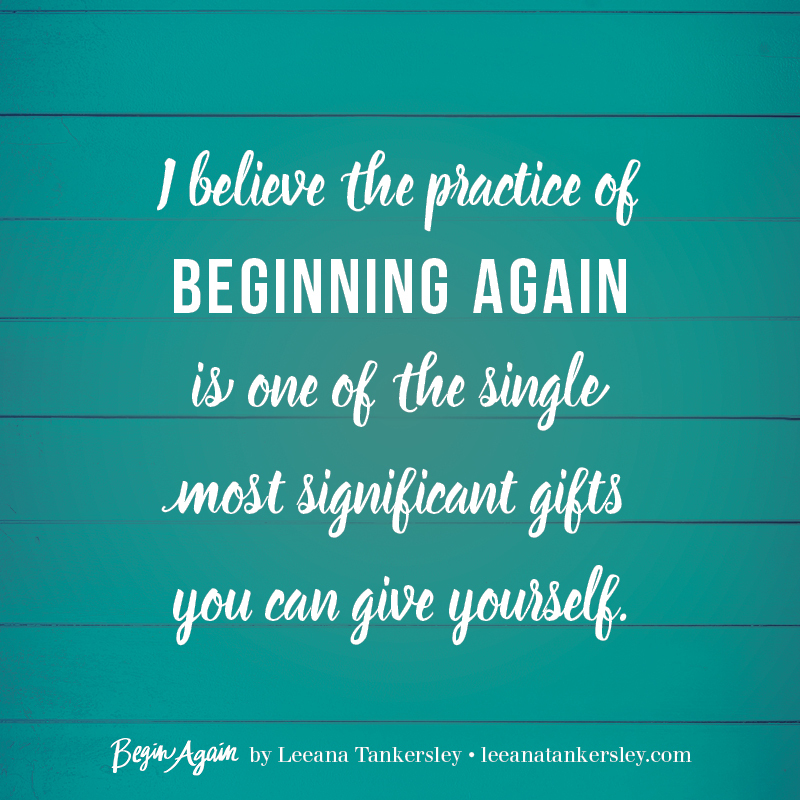 Today is “release day” for my new book, Begin Again. Some of you will go to your mailbox today and you’ll do what I did a week or so ago — you’ll find a package and you’ll open it to find this book. What a wild thing. I can still viscerally remember the dark mornings I wrote and wrestled and listened this book into existence. This book came from my bones. That’s the only way I know how to say it. And I believe God gave me the contents to help me navigate a very intense season in my own life. I really do. I don’t know where you are in your life right now, what circumstances you’re navigating, but I do know that the idea of, the practice of, and the grace required for beginning again will help you. Maybe even save you. I am in Virginia as I write this; my kids and I are visiting family for Spring Break. My sister asked me last night if I was worried or nervous about today, and I said my primary emotion was anticipation. 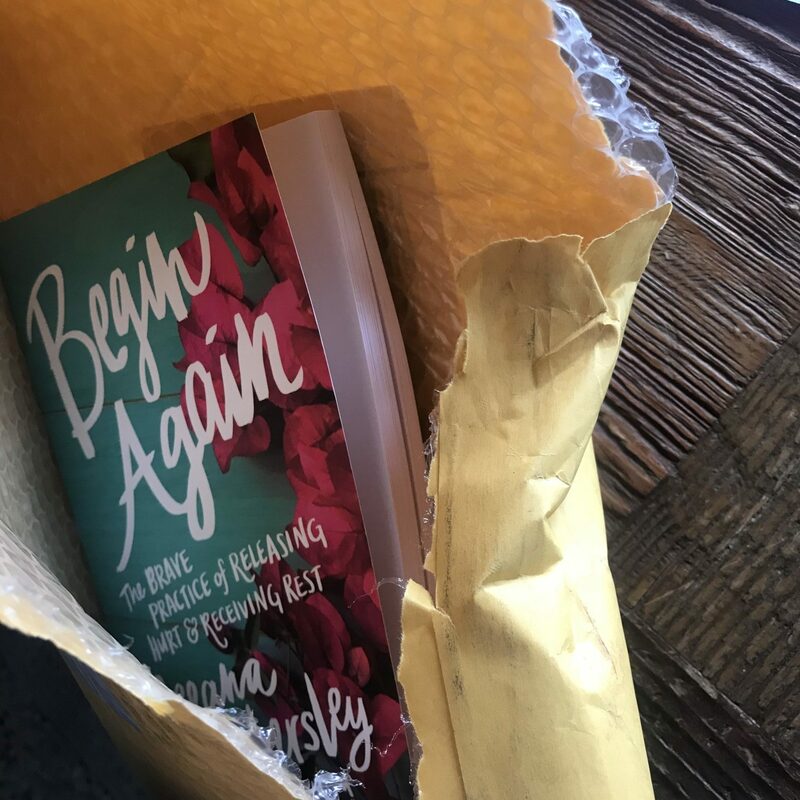 This is my fourth time sending a book into the world, and it is never not vulnerable. Period. But this time, I just trust — in my gut — that this book will make its way into the hands that need it, and that’s what I want more than anything. If you need this message, this hope, I believe it will find you because I know God reaches toward us — even when (especially when) we’re hiding and scared — and he invites us into the next new moment. May they find you, too. Walk with you, too. Save you, too. P.S. 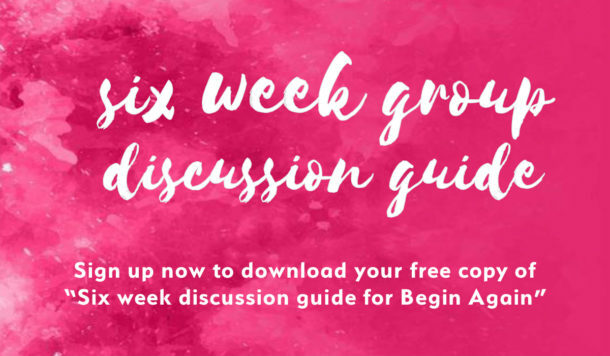 The 6 Week Group Discussion Guide is up and ready to go on the Begin Again book page. Find a warrior tribe and talk through the book together! I wish I could tell you the story of the impact all three of your books have had in my life. The timing for “Begin Again” is incredible. Clearly, God has chosen your voice to encourage and empower mine. And ultimately all for Him. Thank you for all you have poured into it.